Rainwater can cause a great deal of damage. Timbers can grow weaker. Water can erode entire sections of the main structure, only appearing as water stains after the damage sets. Because of this, having good guttering is an investment in the long-term maintenance of your building. 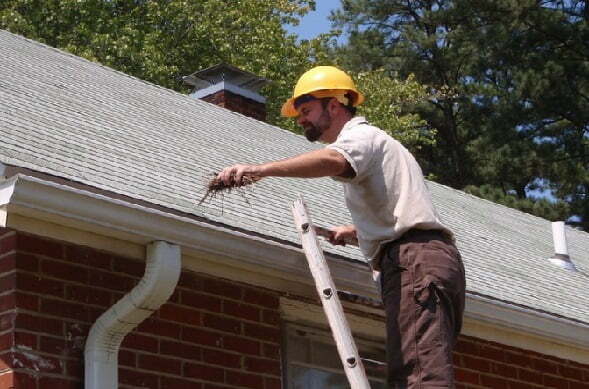 Spotless Gutter Cleaning provides the best commercial reroofing, downpipe cleaning, and flushing services. Our gutter vac and cleaning services are of the highest calibre, at a price few competitors can beat. We cater to all commercial clients. Whether it is a large industrial complex, a small office building, or something in between, we have the experience and expertise needed. The point of a gutter system in a commercial structure is the same as in a residential one – to provide a route for water flow, so it doesn’t damage the main structure. It is important to get the gutter cleaning done because it prolongs the lifespan of your system. With a proper and well-maintained drainage system, you can go for anywhere from a decade to twenty years without any major water or moisture-related damage. Integral to such longevity is regular cleaning because conditions are rarely ideal. The weather can throw things into the gutters that clog them, or the materials might be in need of repair and maintenance. Repairs and maintenance can occur any time of year, but we recommend having them done in the spring or late fall. These are the seasons when there is a higher chance of leaves and debris clogging the pipes. In the case of spring, melting ice and snow also means more moisture.